Just in case you haven’t figured it out yet, Mr. Bernie and I can be a bit obnoxious. We also get bored fairly easily. When we have to wait in lines, we start to have fun. We also look on it as a chance to entertain others around us. Chances are the folks around us are not nearly as entertained as well are. Oh, well. It’s all about us. The line at the food bar was very long and, of course, we quickly became bored. So, out of the blue, I looked up at Mr. Bernie and said, “Do you take all your first dates to Costco for dinner?” Keep in mind I was NOT quiet when I said this and a few women turned and stared at Mr. Bernie in horror. His reply way, “Oh, no! Only the special ones.” He said this with great pride and sufficient volume to be heard by all in line. I looked at him with my lower lip quivering and said, “When you asked me if I liked Costco, I assumed you meant to shop at Costco, not dine there!” By now people are openly staring at us and I’m getting quite a few looks of pity. This makes us happy. He replied, “Do you have something against Costco food? Everybody knows it is good, that’s why the line is so long.” I then asked him, “What on earth do you do for a second date?” He grinned and replied, “If you’re good, I have some Hardee’s coupons that we can use for our next date.” I replied, “You really know how to treat a girl, don’t you?” Then I stomped over to a table to pout and wait for him. The funny thing is, nobody said a word to us. They openly stared, whispered, and giggled, but not a word was said to us. We compared notes on reactions over a dog and soda. Date nights can be lots of fun. This is very funny. I love that you have some fun out and about. As a kiwi I have never heard of this place but I can imagine. Thanks for visiting my blog. Nice to 'meet' you! Nice to "meet" you as well. Costco is a place where you can buy things in bulk. Need 40 lbs of flour,you can get it at Costco. Stuff like that. Brilliant! The husband and I love to go shopping at our local Hellmart (read Wal-Mart) and I will usually ask him if his wife knows we had a baby. Sometimes it is nice to comment on how it’s nice his wife lets us have the baby for our date nights at the store. Why yes, yes we are disturbed. How did you know? OH MY GOD! I so love this! Thank you for sharing that! Wow with prices like that I might be able to talk my hubby into Date-Night at Costco! 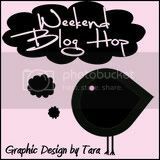 Love your blog, will be visiting quite often!! Oh man, Binderclips and I also do date nights at Costco and get the EXACT same thing! I can’t believe no one said anything! Hahahaha! LMAO! Oh, Mr. Bernie and my husband would get along great! My husband likes to do stuff like that too. The reactions are priceless!! Aren’t they? I think one day it would be fun for the us to have more than just him and me to do this. I love that you guys do this!! You have made me crack up with more than one story of this nature, although I will admit, this is one of the better ones! Thank you. One day we will be able to do this with you and Mark in tow. That should give Mark a mini stroke. Really? What would be considered cheap in NZ? I must admit when I moved to MT, I thought it was pretty cheap too. you are my kind of people!! lol!! Another fun thing? Try farting in an aisle, run away…wait and watch people’s faces when they go down that aisle. Deb, I love your ideas. We might have to try one of those. Cool! The "slumming" one amuses the heck out of me. What fun to mess around with the minds of others. I, personally, would be way too shy to try this. But if I overheard someone like you and Mr. Bernie talking this way, I would sure listen, mentally take notes and then run home to write a blog post. Eavesdropping or simply paying attention to my surroundings often provides great writing material. *lol* True, it is a good way to get blog fodder. For us it makes the time go by faster. LOL you are too funny!! I used to enjoy those Costco wenies with lots of relish and sourkraut and onions. I love the little machines that dispense the condiments. OooOOhhhh you are so smart. I never thought about that. Good point!! I will need to keep that in mind. LOL! I love it! This reminds me of something Marc and I would do. My favorite is when we are someplace, and it could be somewhere like Costco, one of us tries to pick the other one up, but gets rejected. But the rejection becomes beyond ridiculous. People always stare, but like you, never say anything…. Yep..we've been known to court and spark at Costco as well. And the grub be all good excepting for those dehydrated onions. So we're prone to pizza party. But you guys puttin' on that little improv would have made for some fine dinner theater. Doug, thanks for stopping by. I agree about the onions. I love the term, “court and spark at Costco” As time goes on, I have some other things to post as far as having fun in public. Jim and I have regular date nights at Costco, too. We do the pizza deal. I think Costco can be incredibly entertaining. Jim and I say and do all kinds of strange things when we're walking through the isles. You have the bonus of being pregnant as well. The possibilities are endless of adding that into your banter.